After the sale, your agent and the buyer’s agent will share about 7% of the sale price as their commission, which amounts to a hefty portion of your equity being lost to the real estate agents. After buying and selling multiple properties, I eventually realized that I was paying the real estate agents too much money for something I could handle myself. I discovered how to sell a property while retaining significantly more equity than if I had hired an agent. Lists your house with the Multiple Listing Service (MLS). Markets your house though fliers, advertisements, and a web site. Facilitates showings of your house and possibly hosts open house events. In addition to listing the home on the MLS, advertise by putting up “for sale” signs, creating brochures, putting ads on Craigslist, and building a web site to market the property. The marketing packages include items like brochures and yard signs. There will be some costs involved in advertising the sale of your home, but they will be a fraction of an agent’s commission. The real cost is the amount of time and energy you will need to put into selling your home. You will have to prepare your house for showings and open house events. Deep-clean the house, including scrubbing the kitchen counters and the appliances, shampooing the carpets, cleaning the linoleum, and stashing your keepsakes in a closet (i.e. house spring cleaning tips and checklist). The final result should be a home that’s squeaky clean and stripped bare of most personal items. Another option is to find an a la carte real estate agent who will perform this function for a fee without asking you for a commission on the sale price of the house. After an agent shows your house, be sure to call to follow up on the showing. Some agents will share the buyer’s feedback with the homeowner, if they feel it won’t compromise their clients’ confidentiality. In most states, there is a standard contract for real estate purchases. If you are not familiar with the contract, you should have it reviewed by an attorney. Or, you can find a real estate agent that will perform this function with you for a flat fee. Having gone through this process before, I was able to consult with family members who were real estate agents and attorneys, and then negotiate with the other party to sell my home. Agents like to close deals quickly so they can get their commission, even if you don’t ultimately receive the price you want for your home. They may even inadvertently relay your negotiating position to the buyer. If you are a distressed seller, that is the last thing you would ever want an enthusiastic buyer to learn. Doing your own negotiating ensures that you do not give away important indications of your financial strengths and weaknesses. Selling a home is not for everyone. Many people will not have the time or the patience to deal with the process. And for some, if the listing price is low enough, the potential savings might not be worth the time and effort necessary to sell the house without a realtor. Whatever the case, if you are planning to list your home, at least consider the great savings you could enjoy by selling the house on your own. If you know just a little about real estate, and you can put forth the effort to do a good job, you can save a tremendous amount of money by selling your own property. Have you been through the process of selling your own home? 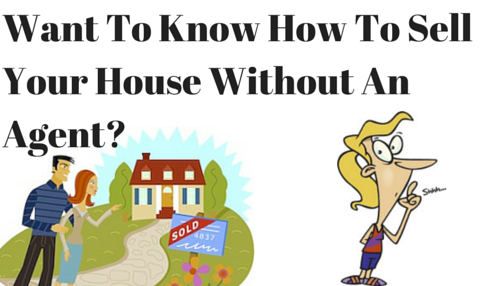 What are your best tips for selling a home without an agent?